You don’t want to miss tag questions, do you? Of course not! 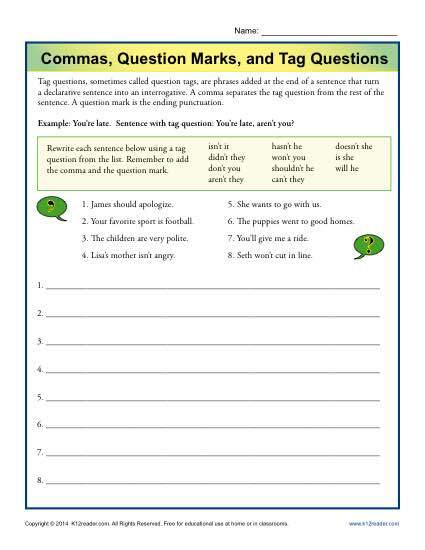 In this worksheet your student will add tag questions and the appropriate punctuation to a variety of sentences. It’s valuable for use with 5th grade Common Core Standards for Lanaguage. It may also be helpful to other students.